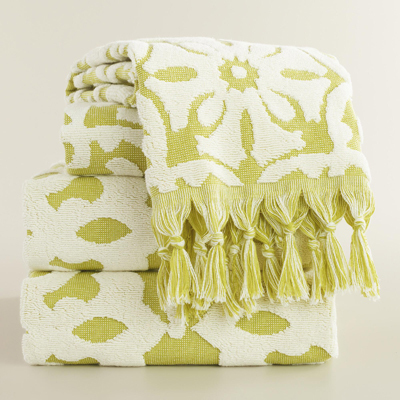 Sculpted in soft ivory and oasis green and bordered with hand-knotted tassels, this tile-patterned Green Sculpted Tile Soleil Bath Towel Collection brings fresh color and bold style to your bathroom decor. $9.99-$14.99. Buy here.